If you are the parent of a child who loves to sing these tips are for you. These singing tips for kids are basic to understand. And, you can definitely do them with a little effort. So, take some time to write down some notes. Then, learn more about how to get your child into singing lessons. Singing Tip – At What Age Should a Child Learn to Sing? The time when the youth can begin singing in tune is when they begin school. And, they become better at it with constant practice. Often, parents consider singing lessons for kids. 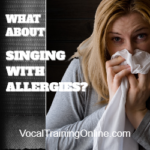 Vocal training might discover a real gift for singing. But, before deciding on singing lessons for kids, make sure the child is really interested. Parents shouldn’t give children too much formal training at a very early age. Excessive singing might put strain on their voice. Singing Tips For Children – Should You Hire a Voice Teacher? Before you begin looking for a teacher who specializes in singing lessons for youth, answer one important question: Is my child really ready for singing? Does your child really want to learn to sing? Many music teachers express concern about starting kids off too early. They realize the experience may turn the child off singing altogether. So, it’s a good idea to find out if your child is really interested in singing. One quick way to find out is to take him to live shows. When Should a Child Begin Singing Lessons? As a parent, you must decide at what age you want your child to begin singing lessons. Why? It’s unfair to begin singing lessons before their teenage years. One reason is, the voice of a child is underdeveloped when they are very young. Another is, they need to enjoy childhood as long as possible. Many kids learn to play musical instruments as early as 10 years old. But, it is not recommended for kids to start formal singing lessons until they reach their teenage years. Singing puts a strain on their vocal development. What about school singing lessons for kids? Many schools offer vocal training for kids. And, private tutors offer singing lessons for kids. In the beginning, it’s a good idea to go along with the singing teachers at school. But then, after your child has developed skills, you can search for other music teachers offering singing lessons for kids. Selecting a brand-new teacher is quite a difficult task for parents who have little musical experience. Firstly, ask other parents who teaches their child. And, after you know those teachers, you can begin interviewing them. Find who provides the most effective child singing lessons. When looking for kids’ voice teachers, there are things you need to consider. Find out if they are recognized as a successful instructor. And, check the cost per music lesson they provide. Then, research how long they have actually been giving music lessons. Remember, you child comes first. Know that the well being of your child is very important for him to become a better (and happier) vocalist. Now that you’ve discovered some singing tips for kids, you’ll want to take your child’s vocal abilities to a higher level. 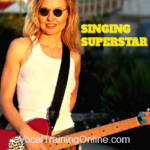 There are a lot of fantastic vocal training coaches available. So, these singing tips for kids are just the beginning. Do your research and make sure your child likes the teacher. You should do just fine. Ready to learn more cool singing stuff?